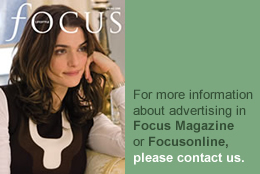 Article from FOCUS Magazine – Spring 13 issue. 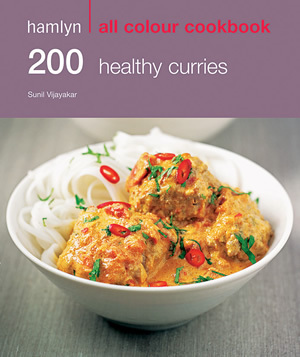 200 Healthy Curries contains mouth-watering recipes spread over six spectacular chapters divided by starters and snacks, fish and shellfish, meat, poultry and eggs, vegetables and finishes with rice, pulses and grains. Each recipe contains clear step-by-step instructions, full colour photographs and preparation and cooking times, which means creating a nutritious and flavoursome curry has never been easier. 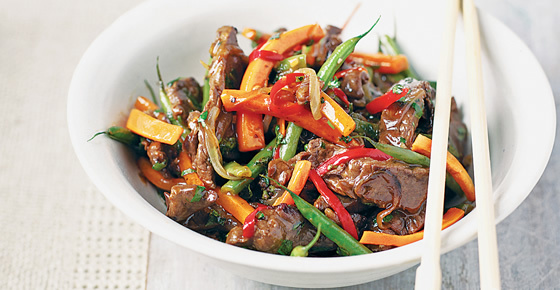 Heat half the oil in a large nonstick frying pan and stirfry the beef in batches for 1–2 minutes. Remove with a slotted spoon and keep warm. Heat the remaining oil in the frying pan and stir-fry the onion for 4–5 minutes until softened, then add the garlic, chilli, star anise, cardamom, cinnamon, beans and carrot. Stir-fry for 6–8 minutes. Return the beef to the pan with the fish sauce and ground bean sauce. Stir-fry for 3–4 minutes or until heated through. Remove from the heat and sprinkle over the chopped herbs just before serving. For fresh beef spring rolls, soak 8 large rice paper wrappers in warm water for 3–4 minutes or until soft and pliable. Pat dry with kitchen paper and spread out on a clean work surface. Thinly shred 6 iceberg lettuce leaves and divide between the wrappers. Top each with 3 tablespoons of the beef curry, cooked as above, arranged in a neat pile along the middle of the wrappers. Turn up the bottom of the wrapper to cover the filling then carefully turn the two sides in and very gently roll up. Transfer to a serving plate and cover with a damp cloth while you make the remaining rolls. Serve immediately or the wrappers will dry out and become tough.